Peter Hudis, editor of the Letters of Rosa Luxemburg and of her Complete Works, discusses the theorist's invaluable legacy and Verso's approach to her work in the context of Verso's English publication of her Complete Works. The following speech was intended for the International Conference on Rosa Luxemburg, held in Paris today and tomorrow. Luxemburg’s quest for what she called a “land of boundless possibilities” is unmistakable to anyone who encounters her most important political writings—such as Reform or Revolution, The Mass Strike, the Political Party, and the Trade Unions and The Russian Revolution—as well as her many lesser-known articles, speeches and essays on the political issues of her day. Refusing to define herself in the terms often adopted by her contemporaries, she issued a searing critique of the inhumanity of capitalism while being no less critical of what she viewed as misguided efforts by radicals to supplant it. Her understanding that capitalism could only be overcome through a thoroughly participatory and democratic process that actively involves the majority of the oppressed[ii] was a departure from the hierarchical models of electoral politics and revolutionary putschism that defined so many efforts at social change in the twentieth century, just as it anticipates the aspirations of many feminists, ecologists, and “Occupy” activists struggling to avoid the errors of the past in the twenty-first century. There is no question that her legacy speaks powerfully to the realities of our life and times, even if we view her work from the sole vantage point of her contribution as a political theoretician. At the same time, Luxemburg was more than a political theorist, for she was without doubt one of the most foremost Marxist economists of her era and among the most outstanding economic theoreticians of the twentieth century. In fact, I would argue that Luxemburg’s effort to “say something great” is most powerfully exhibited in the fact that her four major books all center on economic issues—The Industrial Development of Poland, the Introduction to Political Economy, The Accumulation of Capital, and The Accumulation of Capital, or What the Epigones Have Made of Marx’s Theory: An Anti-Critique. Each consists of a Marxist analysis of economic phenomena. Taken as a whole, they represent the most comprehensive analysis of capitalism’s inherent tendency towards global expansion ever written. Living as we are at a historical moment in which the logic of capital has now expanded to cover the entire world, we surely cannot afford to exclude her economic writings from an appreciation of her multi-dimensionality. Clearly, Luxemburg’s contribution was a multi-faceted one, and we can only appreciate its meaning for today by considering it as a totality. It is of course possible to focus on one or another aspect of her legacy at the expense of others—her political writings at the expense of her economics, her economic writings at the expense of the political writings, or focusing on both at the expense of her original personality. 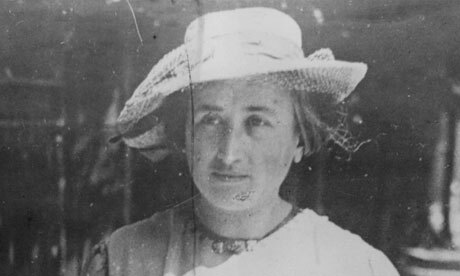 But doing so comes at a great price, for it prevents us from seeing how she wished to view herself—as “a land of boundless possibilities.” We can no more get a handle on what Rosa Luxemburg means for today by fragmenting her legacy into pieces than we can grasp the inner coherence of Marx’s body of ideas by paying attention to only one aspect or angle of his work at the expense of others. For this reason, we have decided to issue an English-language Complete Works of Rosa Luxemburg. Over the past two decades there have been many signs of growing interest in Luxemburg in the English-speaking world, as exhibited in numerous conferences, symposia, books, articles, and plays. Yet access to her work has been limited by the fact that much of it has either never been translated into English or is available only in deficient or outdated translations. Over 70% of the material in Luxemburg’s Gesammelte Werke has yet to appear in English—until recently, this included such seminal works as the full text of the Introduction to Political Economy. Over 80% of her correspondence has never appeared in any form in English. And almost none of her work as part of the Polish Marxist movement has appeared in English. For this reason, Verso Books, in collaboration with the Rosa Luxemburg Stiftung, has committed itself to issuing Luxemburg’s Complete Works, in 14 volumes. Our aim is for it to include everything written by her—essays, articles, speeches, books, letters, and surviving manuscripts. The English-language Complete Works will be divided into three rubrics—the first containing her major economic writings, the second her political writings, and the third her complete correspondence. Since her overall contribution cannot be grasped without engaging her work as an economic theorist, we have chosen to begin the series with her economic works. Admittedly, separating her oeuvres into economic and political writings is somewhat artificial. As she indicates in her correspondence, her initial approach to economic theory was largely stimulated by a political problematic—the expansion of European imperialism into Asia and Africa. Her effort to comprehend the phenomena of imperialism and how it points to the dissolution or “the final crisis” of capitalism determined much of the content of her economic work. Meanwhile, many of her “political” writings—such as Reform or Revolution—contain brilliant analyses of the economic law of motion of capitalism and its proclivity for cyclical crises. 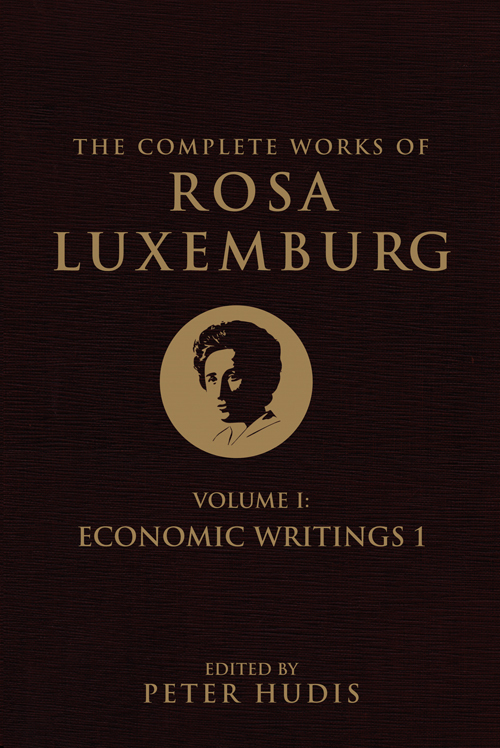 Yet given the amount of time, care, and attention that Luxemburg gave to developing her major economic works, we felt that it makes sense to begin the Complete Works with the works that contain her most detailed and analytically specific delineation of Marxian economics. The first volume of Economic Writings, which is now in press, contains the first-ever complete translation of the Introduction to Political Economy, seven manuscripts consisting of lectures and research at the Social-Democratic Party school that were found by Narihiko Ito, and a manuscript on the theory of the wages fund, which Annelies Laschitza has identified as being composed while at the University of Zurich, in 1897. We are confident that this volume will garner considerable interest, for several reasons. First, the Introduction to Political Economy represents a wonderful overview of the nature, origins, history, and internal contradictions of capitalism. We believe it will be of great assistance to the new generation of activists, in the Occupy Movement and elsewhere, who wish to gain greater insight in the complexities of modern capitalism. Second, the manuscripts and lectures from the party school show how intensely Luxemburg studied not only economic and political phenomena but also made important contributions to the then-emerging fields of anthropology and ethnology. The interest among many anti-capitalist activists in communal social and property relations that pre-date capitalism is spoken to eloquently in Luxemburg’s appreciation for “their extraordinary tenacity and stability…their elasticity and adaptability.”[v] We believe her appreciation for such pre-capitalist social formations will speak to today’s search for an alternative to capitalism, which is clearly one of the foremost theoretical and practical issues of the day. Third, the volume as a whole will help reclaim Luxemburg as one of the major economic historians of her time—especially because of the insights contained in her manuscripts on the Middle Ages and slavery in ancient Greece and Rome. The second volume of Economic Writings, due out in 2014, will contain a new translation of The Accumulation of Capital, the Anti-Critique, and the chapters on Volumes Two and Three of Capital that she wrote for Franz Mehring’s biography of Karl Marx (she is very rarely acknowledged as the author of the latter in the English-language literature on Luxemburg). While Agnes Schwarzschild’s translation of The Accumulation of Capital, first published in 1951, is adequate in some respects, it suffers from a number of shortcomings—not the least of them being that it left out the original sub-title, “A Contribution to an Explanation of Imperialism.” It also left out Luxemburg’s brief Foreword of December 1912, which specified that her materialist and “scientific” study was tied to “the practical, contemporary, imperialist politics.” This is a most fitting moment to re-examine Luxemburg’s effort to demonstrate the integrality of imperialism and capitalism, given the urgent necessity to combat capital’s global drive to undermine the ecological as well social viability of human existence itself. Beginning in 2015, we will begin issuing Luxemburg’s Political Writings, in seven volumes. At first we planned on issuing these writings in chronological order—beginning with her earliest writings within the Polish Marxist movement and ending with her writings of 1918-19 on the Russian and German Revolutions. However, in light of the discovery of many previously unknown or unpublished writings of Luxemburg by Annelies Laschitza and Holger Pollit in particular, we have decided to issue these writings thematically. The Political Writings will begin with three volumes devoted to “On Revolution,” which will contain Luxemburg’s wide-ranging analyses of the 1905 and 1917-18 Russian and 1918-1919 German revolutions. We believe that these volumes will truly bring forth a new perspective on Luxemburg’s contribution to the English-speaking world. Revolution was, clearly, the central motif and organizing life of Rosa Luxemburg’s life and thought. The opportunity to collect all of her analyses and responses to the ongoing revolutions of her time in a series of volumes will surely enable the contemporary reader to understand the full implications of her declaration, “The Revolution is everything, all else is bilge!” The Political Writings will be further rounded out by being organized around additional distinct themes, such as a volume on her writings on nationalism. The English-language Complete Works will conclude with a five-volume collection of her correspondence, based on the Gesammelte Briefe that was edited by Annelies Laschitza and Günter Radczun and published by Dietz Verlag. I wish to make it clear that our work in issuing the Complete Works of Rosa Luxemburg is purely derivative and dependent upon the extraordinary and tireless work done by those who have labored so hard for so many decades to bring her writings to light—such as Felix Tych, Narihiko Ito, Annelies Laschitza, Holger Politt, and many others. It is hard for us to find words to express our gratitude. To help prepare an audience for the English-language Complete Works, Verso Books published a companion to the series in 2011—a translation of Annelies Laschitza and Georg Adler’s Herzlichst Ihrer Rosa, which was published as The Letters of Rosa Luxemburg. This 600-page collection represents the largest collection of letters ever published of Luxemburg in English, with a great many of the letters made available to the English-speaking public for the first time. We wanted to introduce the Complete Works with this companion volume in order to help draw attention to the multi-faceted and multi-dimensional nature of Luxemburg’s interests and contributions—something that is nowhere more strikingly evident than in the person and thinker revealed by her correspondence. The book was very widely reviewed, in academic journals, leftwing periodicals and websites and mass circulation popular journals and magazines. The reviews included those by Jacqueline Rose (London Review of Books); Sheila Rowbotham (The Guardian); Vivian Gornick (The Nation); Christopher Hitchens (Atlantic Monthly); Joel Schalit (The Jewish Daily Forward); Adam Kirsch (The Jewish Review of Books); George Fish (New Politics); Lesley Chamberlain (New Statesman), as well as several dozen others. 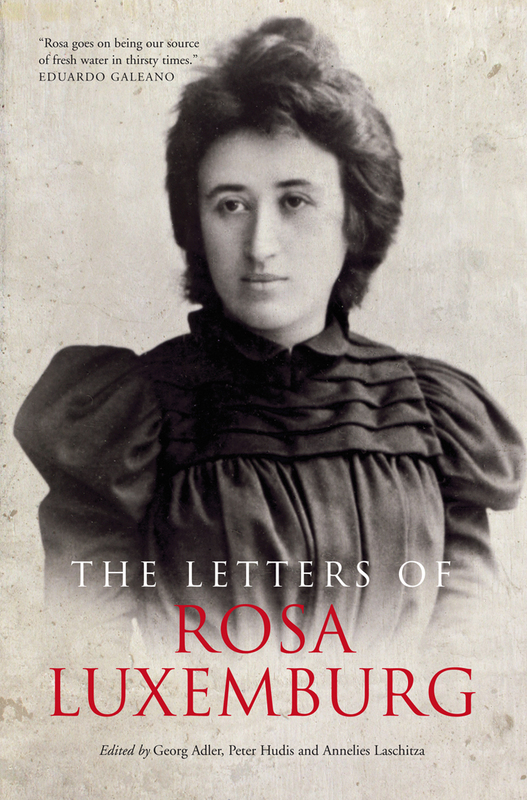 Taken as a whole, the reviews and discussion spawned by The Letters of Rosa Luxemburg constituted the largest public discussion of Luxemburg in the U.S. and England in many decades. It is worthwhile to ask, why was such an extraordinary amount of attention paid to the issuance of The Letters of Rosa Luxemburg, and what does it say about ongoing efforts to publish Luxemburg’s work elsewhere in the world today? Surely, the reviews (almost all of them appreciative of Luxemburg’s contribution) singled out different aspects of her legacy. Some commented on her unswerving commitment to participatory democracy and its inseparability from efforts to surmount capitalism. Others emphasized her prescient insights into the globalization of capital. And other reviews singled out her personality, which combined so many different facets. As Jacqueline Rose put it, for Luxemburg “The shifting sands of the revolution and of the psyche are more or less the same thing. It is in this context that the correspondence is so critical; not as the sole repository of intimacy, but because it shows the ceaseless traffic between the personal and political.” Rose, like many of the reviewers, sees Luxemburg as trying to break down the barriers between the external, engagement with the political world, and the internal, the knowledge of ourselves; as someone who breaks through conventional categories, enabling us to envision liberation in far more expansive terms than levels of economic output and political organization. “See to it that you stay human!”—this call, voiced in a letter of 1916 to Mathilde Wurm,[vi] seems to capture what attracts many to a re-examination of the legacy of Rosa Luxemburg. For this reason, I do not think we should be too worried about those who publish “positive reviews [of Rosa Luxemburg] in venues not habitually given to serious discussions of revolutionary Marxism.”[vii] No one “owns” Rosa Luxemburg—including those of us who spend a lot of time and energy publishing and disseminating her work. If some individuals who have not yet committed themselves to revolutionary Marxism find themselves drawn to a radical uprooting of capitalism because of Luxemburg’s alluring personality and multi-dimensionality, so much the better. That truly would make her a “land of boundless possibilities”—which is, after all, how she wanted to be remembered in the first place. [i] To Leo Jogiches (April 19, 1899), in Rosa Luxemburg, Gesammelte Briefe, Band 1 (Berlin: Dietz Verlag, 1989), p. 307. Wladyslaw Heine was a fellow Pole who studied with Rosa Luxemburg at the University of Zurich during the time she was writing her dissertation, The Industrial Development of Poland. [ii] For an especially valuable work that sheds important illumination on Luxemburg’s contribution to this conception, see In the Steps of Rosa Luxemburg, edited and introduced by David Fernbach (Leiden and Boston: Brill, 2011). [iii] Letter to Jeo Jogiches, May 1, 1899, in The Letters of Rosa Luxemburg, edited by Georg Adler, Peter Hudis and Annelies Laschitza (London and New York: Verso Books, 2011), p. 118. [iv] Letter to Clara Zetkin of September 27, 1908, in The Letters of Rosa Luxemburg, p. 269. [v] “The Dissolution of Primitive Communism,” in The Rosa Luxemburg Reader, edited by Peter Hudis and Kevin B. Anderson (New York: Monthly Review Books, 2004), p. 110. [vi] Letter to Mathilde Wurm of December 28, 1916, in The Letters of Rosa Luxemburg, p. 363. [vii] See Helen Scott, “Rosa Luxemburg, in the storm of struggle,” International Socialist Review, No. 81, January-February 2012, p. 34.